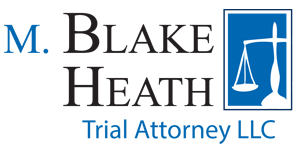 Blake Heath recently settled a claim for a mother and her daughter after the two were involved in a traffic accident. 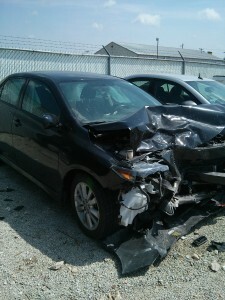 The negligent driver failed to yield the right-of-way when she attempted to make a left-hand turn and collided with the car driven by Mr. Heath’s clients. The daughter, who was 8 years old at the time, was in severe pain immediately following the accident. The mother refused medical treatment at the scene so she could ride in the ambulance with her daughter. Doctors determined that the daughter had a broken leg. After the daughter was released from the hospital, the mother went to the emergency room where doctors were concerned she may have lacerated her liver. She was placed under observation for 24 hours before being released. The daughter had approximately $10,000.00 in charged medical bills while the mother had close to $20,000.000 in charged medical bills. The negligent driver only carried the state minimums of $25,000.00 per person and $50,000.00 per occurrence. Mr. Heath demanded that the liability carrier pay its policy limits on behalf of both clients. The insurance company tried to argue the amount paid for medical treatment was significantly less than the amount charged. Mr. Heath reminded the company of its fiduciary responsibilities to its insured, and shortly thereafter, the insurance company paid policy limits for both the mother and daughter. Given the nature of the injuries, Mr. Heath also opened a claim for underinsured motorist benefits. After several rounds of negotiations, Mr. Heath was able to get an additional $20,000.00 for the mother and another $20,000.00 for the daughter. This led to a total of $90,000.00 being recovered for the clients.